I must admit, I don’t agree to do many reviews. But when Jayne Self asked me to take a look at the second in her Seaglass Series of cozy mysteries, I said yes immediately. I’d read the first in the series, Murder in Hum Harbour, and enjoyed it. Read my review of her first book here. And Jayne outdid herself. Not only are her characters back and better than ever, but now, with the added confidence and flow of a more seasoned writer, her second, Death of a Highland Heavyweight, simply sparkles. Nova Scotia and the quirky community of Hum Harbour are brought to life as she weaves in interesting events and characters and plots a mystery that should keep people guessing. First, the protagonist. Gailynn MacDonald is a part-time medical receptionist (to her fiancé, handsome doctor and former missionary Geoff) and owner of Dunmaglass, the store where she sells, among other locally produced glasswork, her own crafted seaglass jewelry. She’s also trying to plan her wedding. And help with the Hum Harbour Daze, a local festival. A dead body is the last thing she needs. Which brings up the victim, a local sportsman. Claude Oui is a champion in caber toss, a sport Gailynn describes as throwing a telephone pole. Even more impressive since it’s done in a kilt. The local hero’s reign is over when he’s found dead at the bottom of the stairs, but we know it can’t be an accident. And Gailynn is sure it’s not. But who would take down the gentle giant who recently became a Christian, denounced his lucrative ale endorsement, and planned a missions trip to Ghana? For that matter, who could? And the setting. I seriously have to get to Nova Scotia. I could smell the salt water and see the rising sun shimmer from the water. Blurb: Murder, chaos, teen angst, missing frog figurines, wedding preparations. What do these things have in common? Gailynn MacDonald. When Highland Games Heavyweight Champion Claude Oui is found dead at the bottom of the stairs, his wife is overcome with grief. As head of the town's annual Hum Harbour Daze festival, she cannot plan a funeral and keep up with her responsibilities to the town, so Gailynn dutifully steps in. Disclaimer: I should note that Pelican Book Group is also the publisher for my Gold, Frankincense and Murder (Dec 2011), and I currently work there as an editor. I have, however, received no compensation for this review, which represents my personal opinion. I understand from someone who tried that we're having issues with the comment box today. We appreciate your patience. How did I miss the first one? This series sounds like it is right up my alley. I love mysteries and the maritimes. I already knew what a caber toss is. Thanks for the review, Barb. Blessings to you Jayne. Good morning, Kathy. Glad you got through! And yes, I think you'd like this one. These books must be written just for me. Thank you Jayne! I love Nova Scotia. Yes, i've been there and it's incredible and I didn't even get as far north as I should have to see Cape Breton. And... I love Highland games and have visited quite a few over the years. And so you throw in a mystery set in a seacoast town in Nova Scotia with a highland games and Scottish flavor and wow. WHY DIDNT I WRITE THIS BOOK? thanks for the heads up Barb! And if you do come to Nova Scotia, my cottage door is always open! Deb, I concur. I think you'd enjoy this one. Thank you, Barb. I didn't realize how nerve racking it can be wondering if book 2 will measure up. Your reassurance is much appreciated. This book sounds fabulous! I love cozies, and the Scottish-flair/wedding planning/Nova Scotia setting sounds like a lot of fun. Thanks for the heads-up, Barb! Susanne, you'd love it. Only beginning stages of wedding planning in this one. I suspect Jayne might have some more fun with that in the next? Very cool about Nova Scotia. I have ancestors from there. I've always wanted to go there. I'm almost Canadian, eh? It sounds like a fun book. 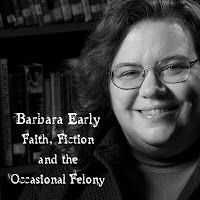 Thank you, Barb, for this recommendation. Oh, and I love, absolutely love the cover. I'm a Nova Scotian, and one of the many things I like about the Hum Harbour books is how well Jayne does the sense of place. There are nuances that are right on, that you wouldn't miss if they weren't there but that make locals nod our heads and say "yes, that's how it is." Great job, Jayne! And, Barb, great idea to include an explanation of caber-tossing.